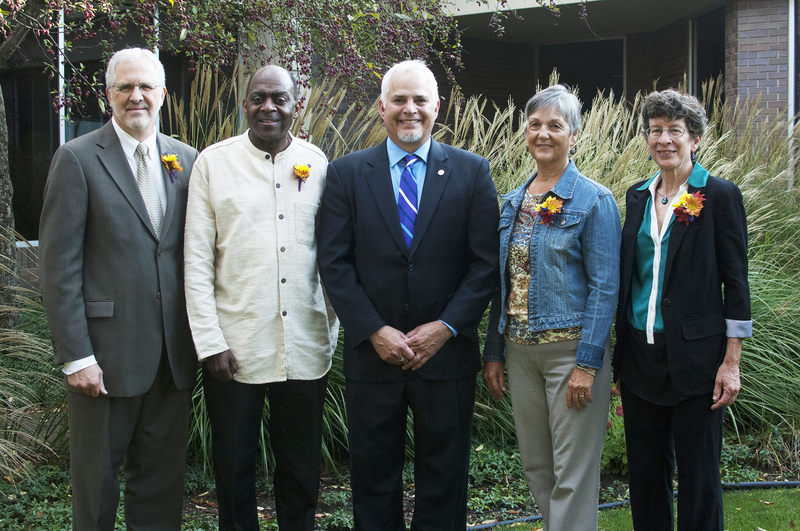 During Goshen College’s Homecoming Weekend on Oct. 4-6, the college will honor four exceptional alumni with awards for their commitment to the college’s core values. Sponsored by the Goshen College Alumni Board, the 2013 Culture for Service Awards will be presented to Tony Brown, a 1971 graduate from Albuquerque, N.M., and Arden Shank, a 1974 graduate from Miami, Fla. The 2013 Dr. Ruth Gunden Champion of Character Award will go to Lynda Hollinger-Janzen, a 1978 graduate from Goshen, and the Dr. Roman Gingerich Champion of Character Award will go to the late Fred Litwiller, a 1962 graduate from Goshen. The awards will be presented on Friday, Oct. 4 at 10 a.m. in the Church-Chapel during convocation, with a reception following in the Church Fellowship Hall at 10:45 a.m. These events are free and open to the public. The Culture for Service Awards were initiated in 1989 and are given annually to honor Goshen College graduates who have made lifelong commitments to service. Recipients distinguish themselves through commendable accounts of service and achievements at home or in their churches, colleges and communities and the larger world. There will not be a Decade of Servant Leadership awarded this year. For the eighth year, the Goshen College Maple Leafs Athletic Club is presenting the Dr. Ruth Gunden and the Dr. Roman Gingerich Champion of Character Awards. The two awards, created in 2005, are presented to a male and female alumni athlete who exemplify the college’s core values in their lives, work and community service. Gunden and Gingerich were pioneers in Goshen College’s athletic history. As an internationally acclaimed baritone, Tony Brown, a 1971 graduate from Albuquerque, N.M., uses music to promote peace and reconciliation around the world. 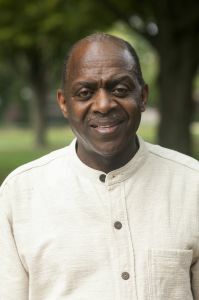 After graduating from Goshen College with a degree in psychology, Brown attended the University of Pennsylvania, where he received a master’s of social work degree in 1979. 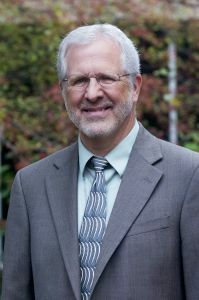 Brown taught at Goshen College from 1980-83 before becoming the assistant director of the counseling center at the University of Washington for the next 17 years. He also worked privately as a psychotherapist during that time. From 2000 to the present, Brown has served a member of the sociology faculty and an artist in residence at Hesston College. Brown is most well known for his music, through which he strives to bring peace in places of conflict. He sings songs from a variety of styles, including African-American spirituals, folk songs, opera, oratorio and pieces from musical theater. He has performed and spoken about peace in countries including Bosnia, China, Colombia, Ethiopia, Ireland, Japan, Moldova, Russia, South Korea, Uganda and Vietnam. The Anthony Brown Comprehensive School in Pader, Uganda, which provides education for former child soldiers, was named in Brown’s honor. In 2007, Brown founded the Peacing It Together Foundation, a nonprofit organization that plans, organizes and subsidizes musical events that promote peace and social justice around the world. In addition, he recently worked with playwright Andrew Flack to create “I Go on Singing,” a multimedia stage show about Paul Robeson, a world class singer and an international social activist who was involved in the Civil Rights Movement. During the show, Brown sings a variety of songs that are associated with Robeson while accompanied by a pianist, narrator and archival video that plays on a screen in the background. Brown released his fifth CD in September titled “How Can I Keep From Singing.” Copies of his CD will be available for purchase during Homecoming Weekend. Brown is married to Erika Shinya. He is a member of Seattle Mennonite Church and is active at Albuquerque Mennonite Church and Hesston Mennonite Church. The economic and social justice work that has become Arden Shank’s passion started taking shape while he was a student at Goshen College. During his time at Goshen, Shank, a 1974 graduate from Miami, Fla., learned to think analytically and found his worldview stretched while on Study-Service Term in South Korea and while taking two courses in Europe. After graduating with a degree in religion, Shank served as the urban director of Mennonite Student and Young Adult Services, a department of Mennonite Mission Network, from 1975-81. For three of those years, he was also employed as the associate director of the Washington Community Scholars’ Center, a program of Eastern Mennonite University. Shank went on to receive a Master of Divinity degree from Anabaptist Mennonite Biblical Seminary in 1985. He then served as the executive director of LaCasa Inc. in Goshen from 1988-2001. He also played a significant role in the founding of Habitat for Humanity of Elkhart County and Maple City Health Care Center in Goshen. In 2004, Shank graduated as a member of the first class of community development executives in the Achieving Excellence program, which is sponsored by NeighborWorks America and the Kennedy School of Government at Harvard University. Currently, he is president and CEO of Neighborhood Housing Services of South Florida (NHSSF), a nonprofit organization that works to stabilize neighborhoods and develop sustainable housing. “My Goshen College experiences gave me a foundation for my work in multicultural, multiracial, multifaith Miami,” Shank said. 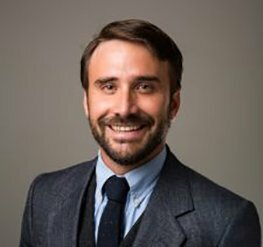 As president of NHSSF, Shank recently led a group of six nonprofits and the City of North Miami in applying for and allocating more than $89 million in federal funds to acquire, rehab and rent or sell foreclosed homes and acquire vacant land to build new homes. The group is on track to complete over 1,300 housing units, with 60 percent of these units completed and occupied. Shank is a member of Coral Gables United Church of Christ in Coral Gables, Fla., and an associate member of Assembly Mennonite Church in Goshen. He and his wife, Meribeth, a 1973 GC graduate, have two children, Nadia Shank Van Eenige and Justin Rothshank, a 2000 GC graduate, and three grandchildren. Throughout her life, Lynda Hollinger-Janzen, a 1978 graduate from Goshen, has worked to serve and advocate for those from other cultures. 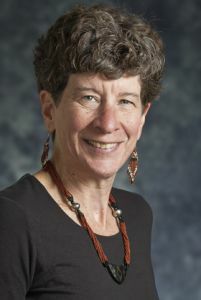 Hollinger-Janzen spent a year studying abroad in France before coming to Goshen College in 1974, where she double majored in French and physical education and participated in volleyball and track and field. Immediately after graduating, Hollinger-Janzen spent two years teaching in a village school in what is now the Democratic Republic of Congo with Mennonite Central Committee. During her third year there, she helped to create and implement an innovative program that brought primary health care into 200 schools in the northwestern region of the country. Hollinger-Janzen went on to receive a master’s degree in tropical community health from the London School of Hygiene and Tropical Medicine and then served for 13 years as a community health trainer and mentor in churches in Benin, West Africa, with Mennonite Board of Missions. 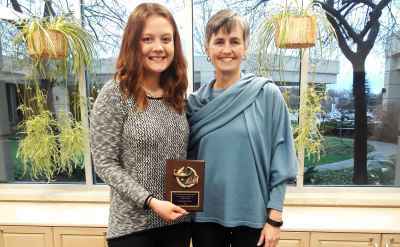 Hollinger-Janzen is currently employed as a writer for Mennonite Mission Network, and strives to honor people from a variety of cultures through her work. Hollinger-Janzen and her husband, Rod, have three adult children, Mimi, Rachel and Femi, and attend Waterford Mennonite Church. The late Fred Litwiller, a 1962 graduate from GC, dedicated his life to serving college students through coaching, teaching, counseling and administration. Litwiller, who died on June 6, 2013, after an 11-year struggle with multiple myeloma, was nominated for the Dr. Roman Gingerich Champion of Character award prior to his death. His wife, Faye, will accept the award in his honor. Litwiller graduated from Goshen College with a major in physical education and a minor in science. He played varsity basketball all four years of his Goshen career, serving as team captain during his junior and senior years. He went on to receive a master’s degree in guidance and counseling from Illinois State University. From 1963-66, Litwiller served as the athletic director at Hesston College, where he also coached many sports and taught classes. For the next seven years, Litwiller worked at Goshen College in various capacities, including serving as the director of student activities, coaching men’s basketball and teaching physical education classes. 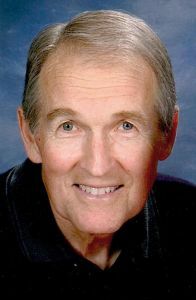 He and his wife led three groups of students on Study-Service Term in Costa Rica during the 1971-72 school year. After spending three years working as the director of personnel and safety for a Hesston construction company, Litwiller returned to Goshen College in 1975, where he worked in admissions and with orientation and career counseling. Following his retirement in 2000, Litwiller and his wife spent two years volunteering at Little Eden Camp in Onekama, Mich.
Litwiller was an active member of College Mennonite Church. He is survived by his wife, Faye; three children, Matt (Lisa) Litwiller of New Paris, Vonda (Ref Fransen) Litwiller of Goshen and Laura (Mark Tenekijian) Litwiller of Northhampton, Mass. ; and five grandchildren.